Major tech companies like Google are making significant efforts to combat this trend, yet we know this problem starts way before our kids are preparing for SATs and thinking about job interviews. The media I expose my children to significantly influences their view of the world. During your next trip to the library, look for books that showcase female scientists and highlight the major contributions women have made to STEM fields. A favorite in our house is Rosie Revere, Engineer. There are many other similar books to explore. While teenage Dora still frightens me a bit, the younger version has taken my girls on many cultural adventures. I’m mindful of choosing shows and movies for my kids that portray female characters in positive, prominent roles—Disney, NASA and Google are actually collaborating on a new show with female scientists. If you want to keep it old school, there is always The Magic Schoolbus series with Mrs. Frizzle’s endless, joke-filled lessons. 2. I provide them with creative outlets via coding. The goal is not for everyone to become a software developer, but rather for them to learn how computers work and how they can be used to solve problems. One way to do this is to sign your daughter/niece/neighbor up for a summer camp or extra-curricular program that takes an unplugged approach, putting the emphasis on off-screen time as much as on-screen time. Embark Labs, the company I founded in the Bay Area, is an example of a program designed to create learning communities that introduce kids to computational thinking, focusing on creative problem solving skills kids can use in many disciplines. 3. I encourage friendships and activities that deepen the STEM experience. It will come as no surprise to you that my girls are super-social and gravitate towards activities that are collaborative. If your daughters lean that way as well, why not skip the tea-party and plan a DIY playdate next weekend? There are endless activities you can pull together for a get together with items you have lying around the house. Rather than just telling your kids to play outside, provide them with a little structure and the right materials and watch their experience deepen. This is the perfect first step towards forming a team for a local science fair or robotics competition. As kids grow up, their friends will guide many of the choices they make, so encouraging girls to explore together like this fosters friendships that will provide mentorship and a strong support system in the future. Increasing diversity in STEM fields is definitely a collective effort. I’ve started young to make smart choices for my daughters to empower them—you can, too. 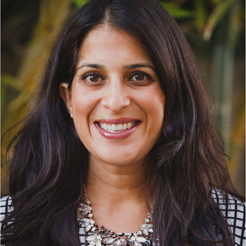 Jessie Arora is a Bay Area mother of two spunky girls and founder of Embark Labs. 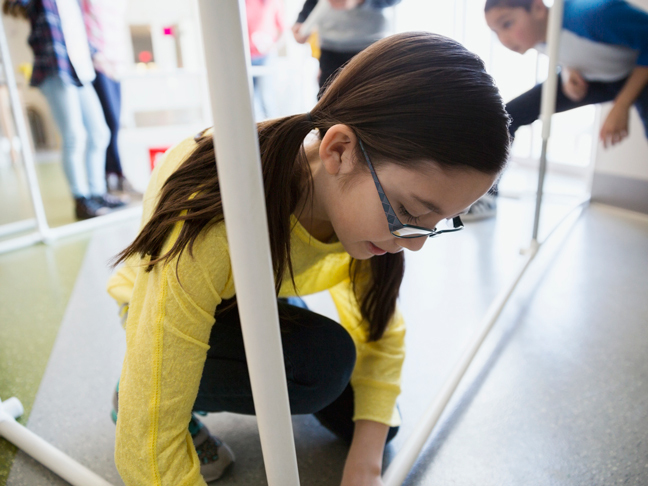 Combining her experiences at Google and the Stanford Graduate School of Education, she strives to create engaging learning experiences where kids learn essential technical skills in a collaborative community with their friends. Learn more about her and their programs at EmbarkLabs.com and follow her on Twitter @Jessie_Arora.